A brand-new Christmas market is coming in the hearth of Portsmouth City Centre, beautiful wooden cabins will be selling a mixture of hot food and gifts. Delicious hot food will be served such as freshly made churros from Papi Churro, authentic Greek gyros, wok fried noodles and Oriental Cuisine, Carvery, German sausages, traditional pie and mash, sweets for everyone, chocolate kisses, a selection of Snowdonia cheeses, homemade fudge and more! You can enjoy the delicious food with a glass or two of mulled wine or any drink of your choice from the two lovely bars at the market, perfect way to spend an afternoon or evening with friends and family and get into the Christmas Spirit! Not only drinks and food will be available at Portsmouth Christmas Market 2018, but also a selection of personalised stockings and Christmas decorations, Christmas trees, South American gifts, flavoured coffee beans from Meyart Coffee and more, perfect place to shop for Christmas goodies! This year, Portsmouth Christmas Market comes with a surprise: there will be a giant walk-in LED Bauble and we encourage everyone to come see it and take beautiful pictures! 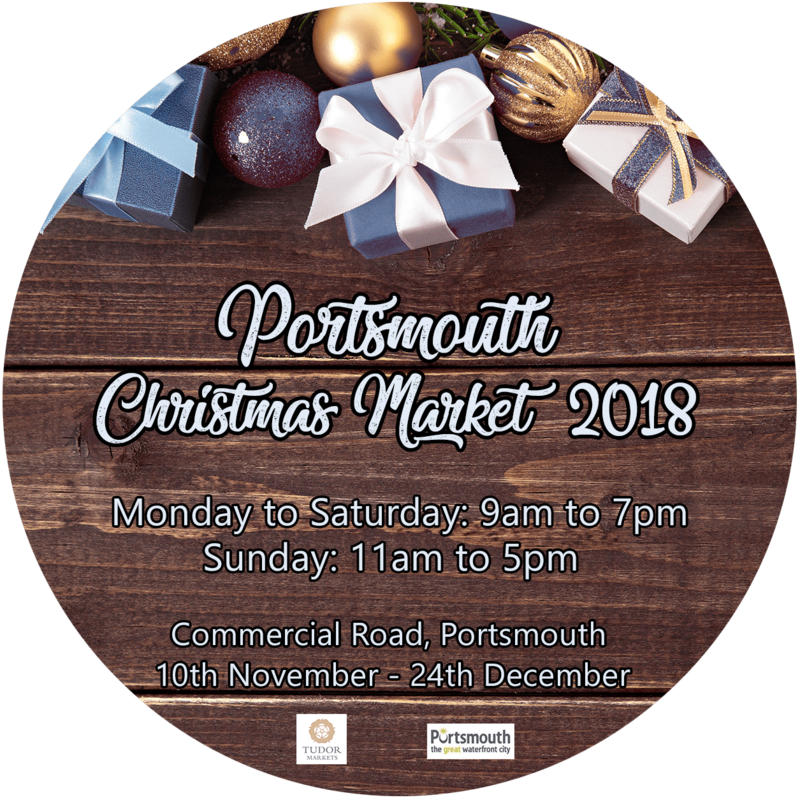 “Portsmouth Christmas Market” will run from 10th November to 24th December 2018, in Commercial Road, in the heart of Portsmouth City Centre! 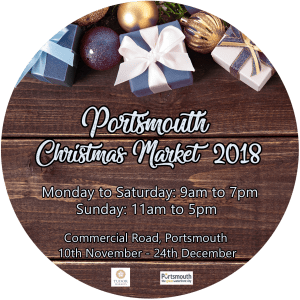 Come and visit “Portsmouth Christmas Market 2018” in Portsmouth Commercial Road, perfect place to enjoy the Christmas spirit with family and friends!